Pseudechis australis. This tongue twister of a species is a long time resident of the arid and semi-arid regions of Australia including the Pilbara. More commonly known as the king brown snake it is part of everyday life along with red sand, acacias and galahs. Travelling through the Pilbara landscape on the way to Warralong for the mid-week Marnti warajanga community event, I could only envy Pseudechis australis and its environment. 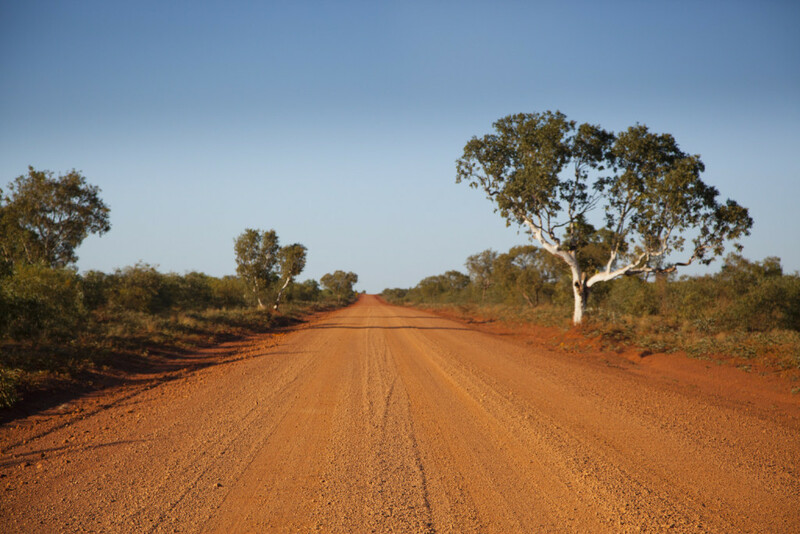 It is the kind of landscape many of us yearn for: wide open spaces, clear bright blue skies with barely a hint of cloud, rich red earth and distant undulating ranges. All of the land is cloaked in rippling aureate spinifex, shimmering in a warm thirty degree day. So why the fascination with Pseudechis australis? Well, on this trip I got to understand the king brown and its habits a little better after a stay at Warralong. 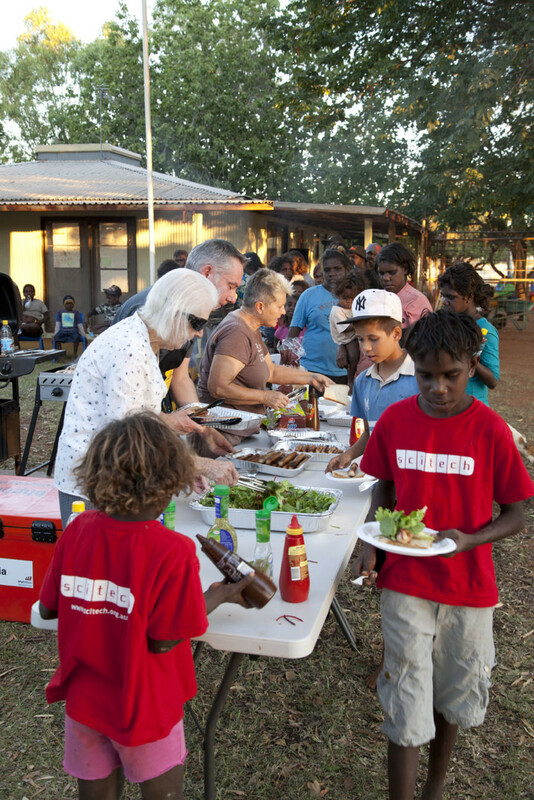 After the two hour drive from Port Hedland we arrived in the late afternoon and fired up the barbie for the Warralong community celebration of Marnti warajanga (read more about how the community experienced the exhibition at Wendy’s blog). With the help of Strelley Community School Principal Kate McKenzie, her staff and friends we knocked out a pretty tasty and healthy feed for the Warralong community. Kate generously offered the School Library as a place to lay our swags down for the night. Whilst the evening wrapped up my colleague Greg Lissaman and I set up our beds and wandered off to have a cuppa with the rest of the crew travelling with the exhibition. ‘Keep the door closed’ was a cry from a local. Must be to keep the mozzies out we thought. We all reflected on a positive, relaxed and successful community event over a cup of tea then we all settled into our swags for a good night’s rest. As it turns out I had the best sleep in a long while. As we rose in the morning we gathered in the kitchen in one of the classrooms and caught up with Crystelle Gregory, a teacher at the school. She was setting up breakfast for the kids in the school grounds – a great way of encouraging kids to attend school. In passing conversation she looked at Greg and I and said ‘I’m amazed you guys slept in the Library!’, ‘Why?’ we said in a surprised tone. ‘We call it the snake pit’ Crystelle replied. ‘There’s often king browns in there as the library is built on a regular snake path. Only yesterday afternoon we found a dead one on the library verandah. That’s why we keep the door closed, but it doesn’t always work.’ Needless to say that shortly following this conversation the locals witnessed one of the quickest recorded pack ups of sleep over guests in the library! It is true that snakes will often follow the same route across a landscape with favoured quiet and dark resting spots along the way. As it turns out I didn’t see a king brown on my travels. But next time you think you’re safe and sound sleeping indoors in king brown country, maybe check in those dark corners and crannies for our friend Pseudechis australis. Steven Fox is Deputy Director at the Museum of Australian Democracy at Old Parliament House. 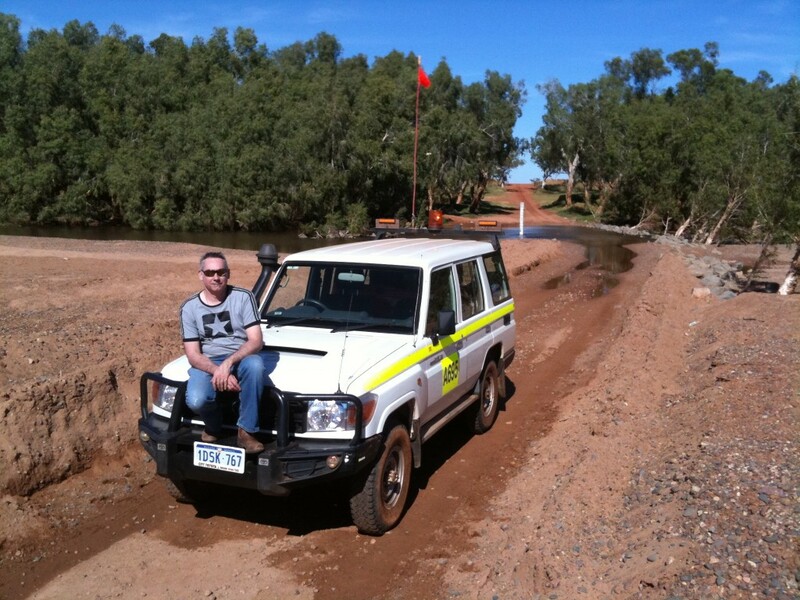 He has been working in the cultural and natural heritage management fields for more than twenty years. In 2000 he curated the exhibition Dismissed! Whitlam, Fraser, Kerr and the story of 1975 marking the 25th anniversary of the dismissal of the Whitlam government.